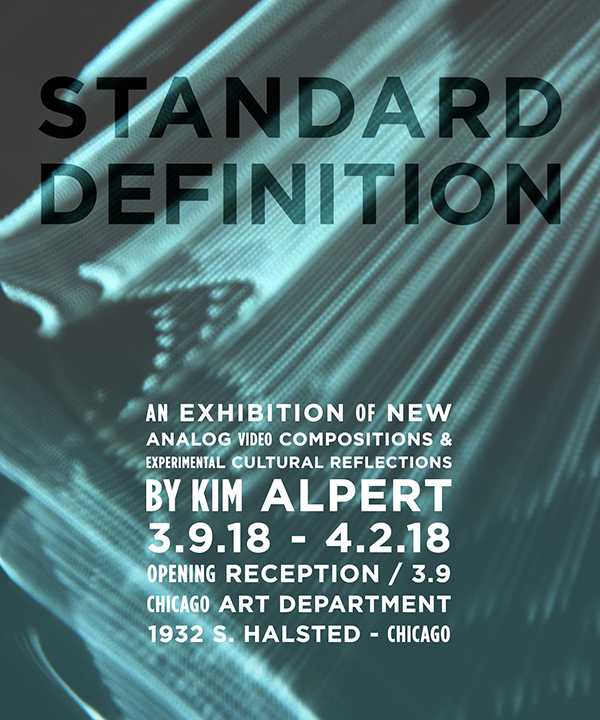 The Chicago Art Department presents Standard Definition, a solo show of new work by Kim Alpert mixing motion and still compositions from her residency at Signal Culture along with selected experimental works derived from her personal interactions over the last decade. Throughout run of the show several pop-ups of her collaborations with musicians and other performers will be presented live. Celebrating 15 years working as a video artist in Chicago, Kim Alpert brings a unique approach to her mix of video as a destructive and additive medium along with digital processing, analog synthesis and found footage. She was a pioneering film and video curator for the Around The Coyote Festival and sits on the board of Chicago’s Experimental Sound Studio. She holds a degree in Digital Media from Full Sail University and is in their Alumni Hall of Fame. 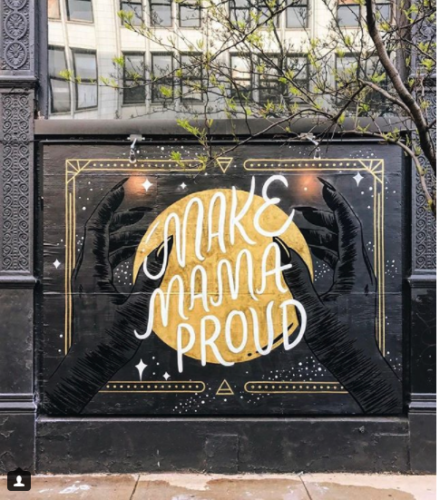 Kim’s work has been screened in festivals and galleries internationally and is on permanent display at the National Music Centre of Canada. As a performer, Kim Alpert collaborates with a variety of music and movement performers and is a member of the Instigation Orchestra and Mike Reed’s Flesh & Bone. 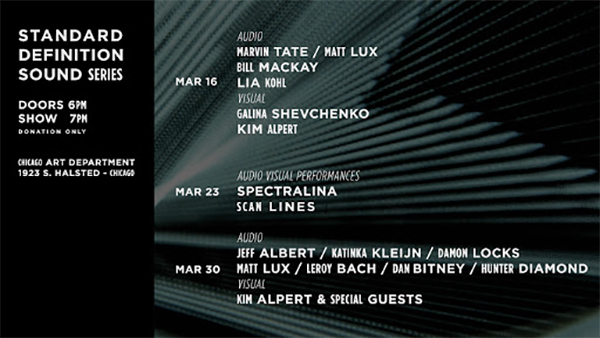 Join us for three nights of live audio visual performances during the run of Standard Definition, the solo exhibition of Kim Alpert. The series hosts open gallery hours along with an opportunity to experience improvised and performative video as we celebrate some of the sound artists that inspire and drive Kim’s practice forward. All events are all ages with a pay what you can donation. Doors at 6pm, Show at 7pm.